What this means for surrounding residents, is relatively large indent where the sidewalk currently sits, making room for a recessed bus stop. For more information, visit Vanishing Phoenix. Councilman Michael Nowakowski will host his District 7 Crime Summit at 8 a.m. Saturday, Feb. 26, at the Phoenix Police Training facility, 10001 S. 15th Ave. The summit will bring together law enforcement personnel, city staff and local residents to discuss crime issues in their communities, police resources, Block Watch, Phoenix Neighborhood Patrol (PNP), and Blight and Graffiti Busters programs. Speakers will include Public Safety Manager Jack Harris and a presentation on the Police Community Engagement and Outreach Task Force. Residents will be able to speak directly with the District 7 precinct commanders (Estrella, South Mountain, Maryvale and Squaw Peak police precincts) along with community action officers and code enforcement officers. Lunch will be provided (at no cost to city taxpayers). RSVPs are requested. To confirm your attendance, call the District 7 Office at 602-262-7492 or e-mail council.district.7@phoenix.gov. That vintage cottage houses her shop, Made Art Boutique, part of a revitalization of funky galleries, eclectic boutiques, and bars in the heart of Phoenix’s hipster haven. That was not the vibe when Dach opened Made Art in March 2005. At first, the boutique opened for limited hours and focused around events and occasionally offered crafting workshops. By that November, Dach was able to expand hours. The business was running at a loss at first, but it stabilized in 2007. “I don’t think the punishment fits the crime in this situation,” said Tess Konomos of Flagstaff. 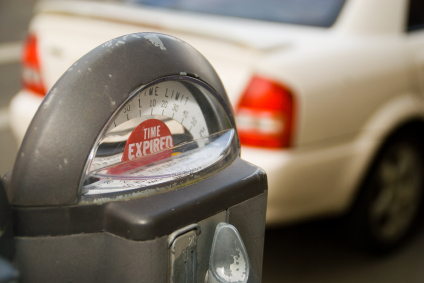 A typical parking ticket in downtown Phoenix used to be $31. Now it’s $57. The price for paying that ticket early used to be $16. Currently it’s $37. [Source: Michael Clancy, Arizona Republic] — Graffiti could gain a foothold in Phoenix because of several proposed budget cuts. Cuts in four departments could affect the city’s ability to respond to graffiti, often seen as a precursor to worse crime. Neighborhood Services, Arts & Culture, Parks and Recreation, and Police have identified potential budget cuts that affect graffiti control. “These are all quality of life issues that impact neighborhoods and the public,” said Erynn Crowley, deputy director of the Neighborhood Services Department. In Neighborhood Services, three inspectors who spend time making sure stores have graffiti supplies locked up could lose their jobs. The employees also check adult-business licenses, enforce mobile- and street-vending rules, and administer laws at special events. The department now will react to complaints instead of actively checking for violations. Savings are estimated at $421,000 this year and next. In Arts, the public-art preservation program could be reduced. One of its functions is to clean up graffiti and vandalism on public-art pieces. The program, if the cuts are ultimately approved, would be reduced to half the size it was two years ago. The cuts would total $60,000. In Parks, ending a softball program would result in the elimination of maintenance staff in northwest and northeast Phoenix. If the program ends in July, as proposed, the maintenance cuts will result in longer intervals for graffiti removal, among other items. Savings are pegged at $179,000. Finally, the Police Department is proposing the elimination of the bias crimes/graffiti squad. The squad investigates crimes related to prejudice and graffiti, which often is the result of gangs marking their territory. Savings in the department would total $710,000. 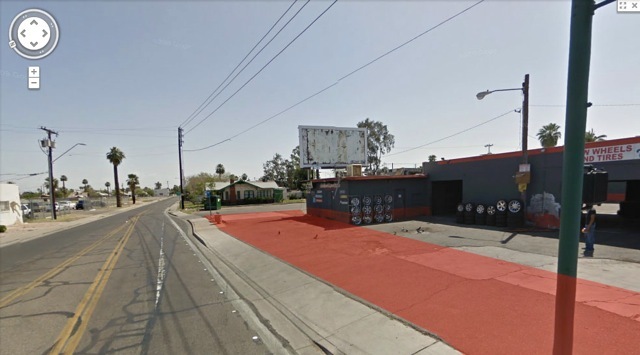 [Source: Michael Tulipan, New York Times] — BOARDED-UP buildings and empty lots in the shadow of office towers hardly seemed a promising foundation for an arts district in rapidly growing Phoenix. But once-neglected and dangerous Roosevelt Row, on the north side of downtown, turned out to be an irresistible lure for artists looking for cheap spaces in which to live and work. Galleries, restaurants and a farmers’ market soon followed. Today, Roosevelt Row is the city’s cutting-edge art destination, full of galleries like Perihelion Arts (610 East Roosevelt Street, No. 137; 602-334-6299) and Eye Lounge (419 East Roosevelt Street; 602-430-1490), which showcase contemporary, often challenging art and performances. The area is also a popular draw during Phoenix’s monthly First Fridays art walk (artlinkphoenix.com). Just as vital to the area’s resurgence is the Downtown Phoenix Public Market (721 North Central Avenue; foodconnect.org/phoenixmarket), founded five years ago by Community Food Connections, a local nonprofit with an ambitious agenda. “The goals of the market were to increase access to healthy food and create a vibrant gathering space in the heart of the city,” said Cindy Gentry, the organization’s executive director. Today, the market (open 4 to 8 p.m. Wednesdays and 8 a.m. to 1 p.m. Saturdays) has over 65 vendors offering local produce, jewelry, herbal remedies and treats like delicious lemon strawberry basil sorbet ($2) from Crave Artisan Ice Cream, a local purveyor. 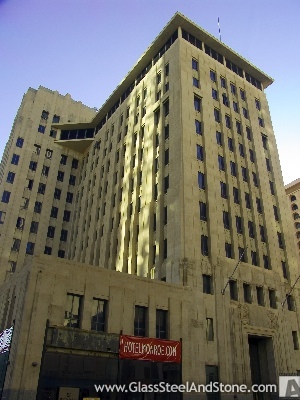 Last October, the market expanded to include Urban Grocery and Wine Bar (14 East Pierce Street; 602-254-1799), downtown Phoenix’s first grocery store in nearly three decades. The grocery sells products from many market vendors and features an outpost of Royal Coffee Bar, as well as a wine bar serving Arizona labels (starting at $7 a glass). For the fashion-minded, Spoken Boutique (610 East Roosevelt Street, No. 148) stocks trendy denim labels like William Rast and Bishop of Seventh, Wet Cement T-shirts and flirty dresses. Local artists and residents drop into two-year-old Conspire (901 North Fifth Street; 602-237-5446), a laid-back boutique and coffee shop with offerings as diverse as handmade paper, quirky clothing and vegan doughnuts. [Source: Michael Clancy, Arizona Business Gazette] — Uncut weeds, graffiti, outdoor piles of junk: These are the norms in the world of blight remediation. But a new, potentially more dangerous problem has emerged as the economy has declined. Vacant homes, usually the subjects of foreclosure, are keeping the city’s team of 43 blight inspectors on their toes. At a recent Neighborhood Services Department presentation of its program, Put the Diamond Back Into Your Neighborhood, about 20 people showed up at the Paradise Valley Community Center to hear what the city offers and to share issues they are facing. Of those who spoke, each was concerned about abandoned homes, whether down the street, on the next block, even next door. The concerns were different from the kinds of things Neighborhood Services inspectors usually see. Vacant homes often present a combination of more common violations. “It is absolutely a growing problem,” said Patrick Ravenstein, a neighborhood-preservation supervisor who presented the program. He said the department’s normal concerns are related to trash and debris, outdoor storage, untamed or dead vegetation, broken fences, junk cars, vehicles parked on surfaces that are not dustproof, graffiti, and open, vacant structures. He pointed out that residents can play a big role in keeping up their neighborhoods when those kinds of problems crop up.